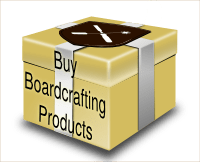 Thanks so much for supporting Boardcrafting. me a photo when you’re done! The instructions for Dominion are available as an instructable here. 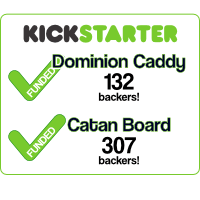 These Catan instructions are also available as an instructable. See here. Inkscape is a free, Open Source software program for manipulating SVG files. cuthexesNow select “File->Save As…” from the menu. With the dropdown box, change the file extension from “Inkscape SVG (*.svg)” to Portable Document Format (*.pdf)”. Then change the name to “board1_cut.pdf” and click Save. This step is optional, but it will create a nicer result in the end. Sand each board smooth so that the contact paper will adhere well. I use a 400-grit pad on an orbital palm sander. After sanding, wipe clean of dust, ideally using pressurized air. a little extra tackiness to work in conjunction with the tacky contact paper. (optional) If you want a stain / varnish, now may be a good time to apply them, while the pieces are still big, easy rectangles. Load board1_cut.pdf in Corel Draw. Do a vector cut. 500 frequencyDO NOT MOVE OR JOSTLE THE BOARD. (Optional) With some double-sided tape, carefully lift each cut-out hexagon, rotate it 60 degrees, and place it back down into the void. 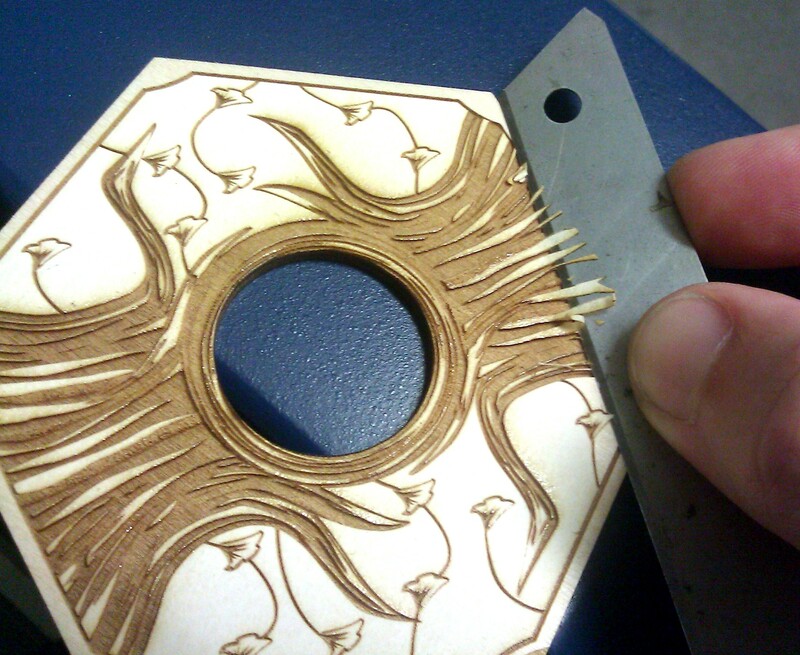 This will cause the laser to not etch with the grain of the wood, which for me, has produced better results. Load board1_etchcut.pdf in Corel Draw. Do a raster etch. Floyd-Steinberg fillAfter this raster pass is complete, DO NOT MOVE THE BOARD. Next, with board1_etchcut.pdf still loaded, do a vector cut. This will cut out the pips and the robber. DO NOT MOVE THE BOARD. hexagonal tile it will sit in. Load board1_etchback.pdf in Corel Draw. Do a raster etch. Do the same process, but with board2 this time. Make sure your leather is *vegetable-tanned*. There is speculation that chrome-tanned leather can emit poisonous / carcinogenic smoke when it is cut with a laser. In Inkscape, open leather_passes.svg. Then save it as a PDF file. When you open up the PDF in Corel Draw, you will see that there are two vectors, one large black rectangle and one smaller blue hexagon. The black rectangle should be cut all the way through, and the blue hexagon should only be burned in very lightly. 3 powerAfter the leather is cut, clean the edge with a damp cloth. First peel off any tape from the wood. last coat and wipe it down (in the direction of the grain) with a clean cloth. Two coats of polyurethane gives it a nice shine at certain angles but doesn’t build up too much. Line up the two frame pieces on top of the leather. There should be a burned-in hexagon pattern whose edges line up with the edges of the boards. The ends of the wood boards will extend past the end of the leather, and there will be a gap between the boards in the center of the leather. With small clamps or binder clips, clamp the frame pieces to the leather and make sure that the whole piece will fold properly. Do the next bit with quickness and precision. Getting a friend to help is highly recommended. After the fold test, make a bead of glue around the border of the frame and put a drop or an “X” at every hexagonal intersection. Clamp it back down to the leather, and do the next frame piece. While there is still some fluidity in the glue, do another fold test. If it doesn’t fold, you may have to try again. Hey, Thanks for developing this pattern. So excited to make it. I am working on a 60W epilog laser at a makerlab and need to book and pay for the laser time. I’ve never done this scale of engraving before (only cutting really) and was curious how long it took to do a whole board. Thanks! Hey Robert, thanks! 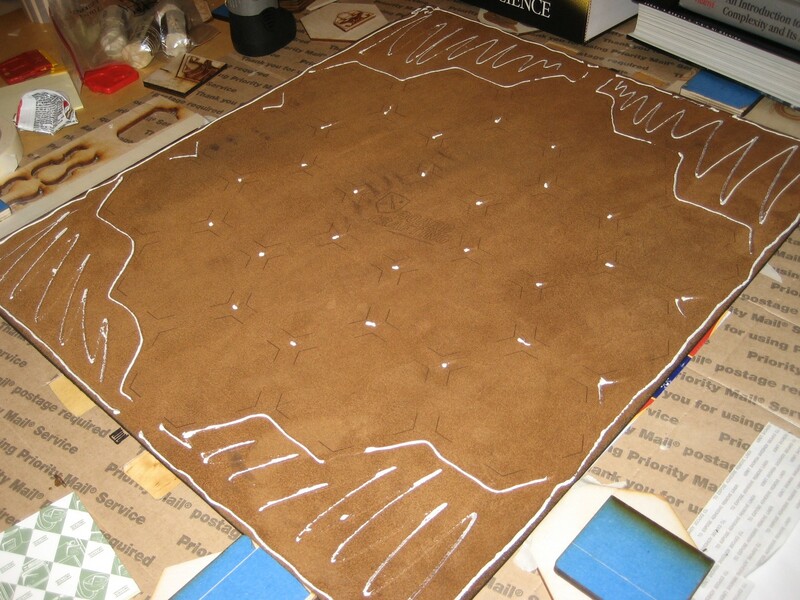 Usually it takes about 45 per side, and then another 30 minutes for the leather.